After our London> Venice> Paris trip, my husband and I were supposed to head back home but our departure from Charles De Gaulle was delayed for about 90 minutes. 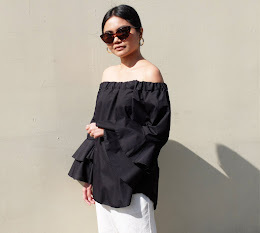 Consequently, we missed our connecting flight to Cebu and had to stay in Hong Kong for 2 days as there were no other flights available. 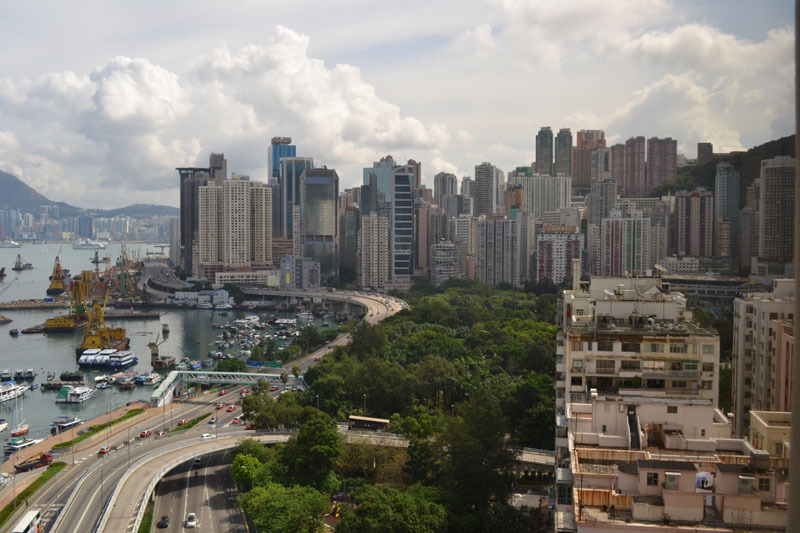 Upon our arrival in HKIA, Cathay Pacific had arranged for a complimentary stay in the Mandarin Oriental Group of Hotels including transfers to and from the airport as well as meals for the duration. After freshening up in our hotel, we headed out and took in some of the famous malls on the island. 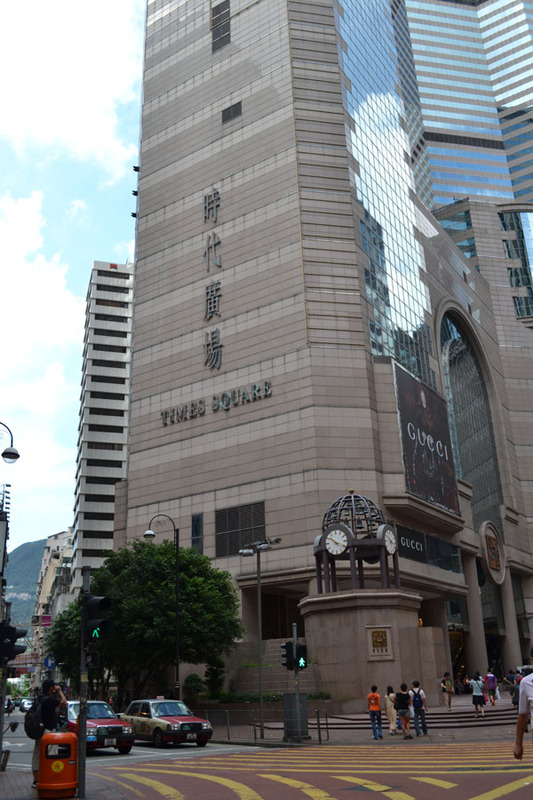 This building in Causeway bay is Times Square, a major shopping centre that carries high street and high end brands. All the clothes that I packed for my Europe trip were suitable for Autumn. I knew my fur vests, trench coats and jumpers really wouldn't do for Hong Kong's hot weather. 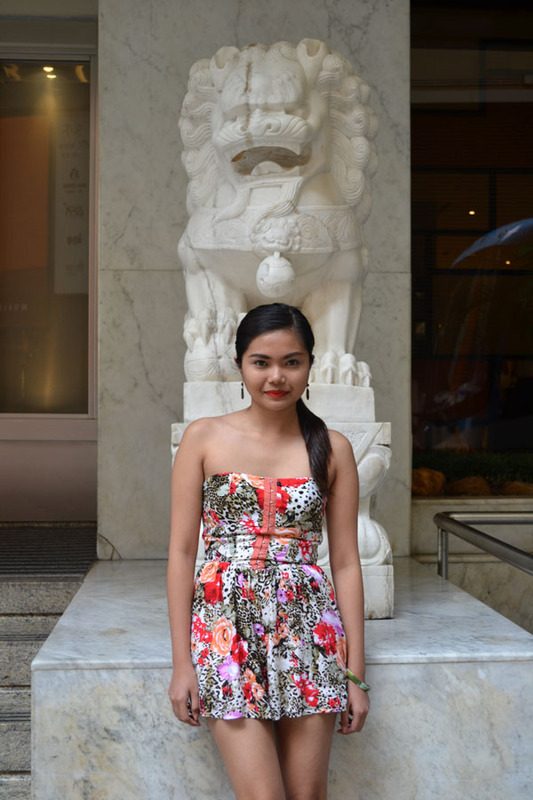 So I purchased this lovely floral romper from SOGO, another popular department store. 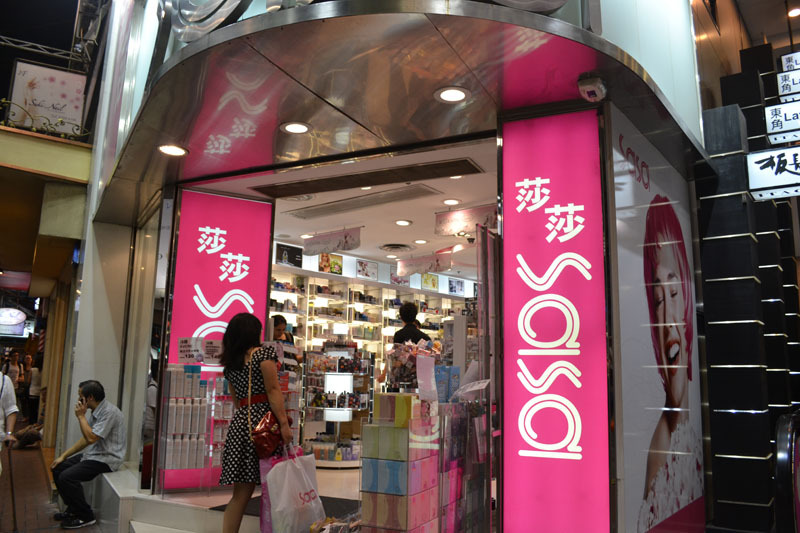 I've heard so much about Sasa so I knew I needed to pay a visit to this beauty shop. I felt like a kid inside this store because they have so many products to choose from! I also love their really cute packaging. I came home with a bunch of make-up, nail polishes, make-up brushes and false eyelashes. 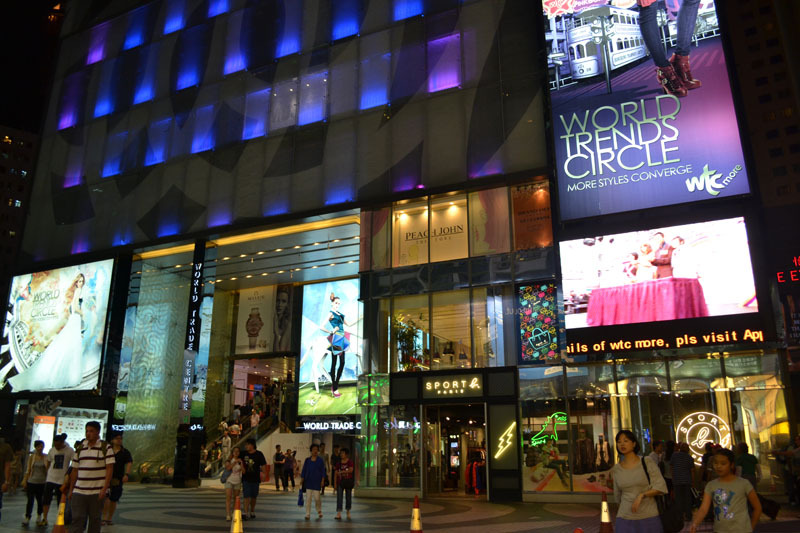 Shopping in Hong Kong at night was such an amazing experience for me. I enjoyed going into different stores, crossing the busy streets and looking at all the neon signs and LCD screens. 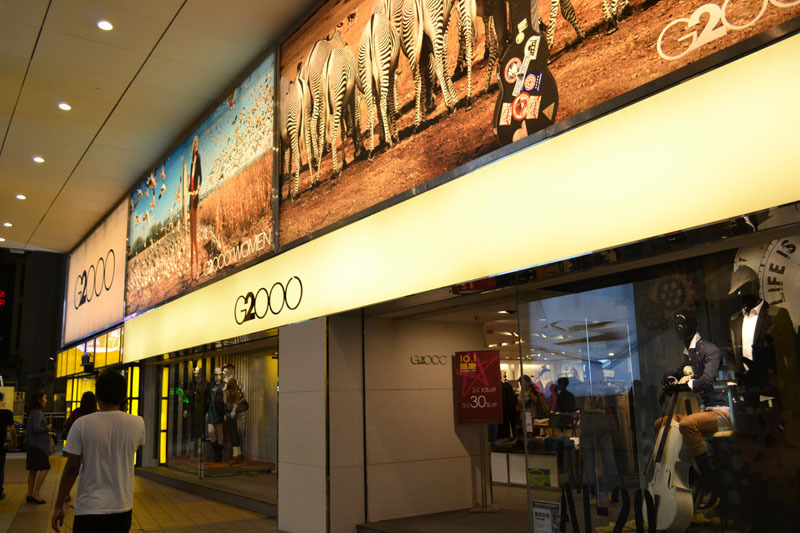 Aside from department stores and stand alone boutiques, you can find a lot of street shops selling trendy apparel and accessories, not to mention the vast array of street vendors selling local Chinese delicacies. I was able to buy tutu skirts, tights and tops at reasonable prices. Hong Kong's diverse and eclectic fashion style is apparent everywhere. My husband also picked up a couple of dress shirts from G2000. I've always loved this brand so I was really pleased they had a sale when we were there. Charles and I are intending to travel back to Hong Kong at some point in the future. The brief stay that we had gave us a flavor of the city and next time, we hope to visit Kowloon, Victoria Peak, Stanley Market and take a trip to Macau. wooow! what a nice trip in HK! You look so happy staying there. i wish i could visit HK too someday.. I super hate delayed flights but good thing you made the most out of the two day stop over. Lovely dress, Lex! @czarinna: Thank you, dear! :) You really should visit HK soon!